Protect spark plug wires from power-robbing damaging under hood radiant heat while preventing potential burning, hardening and cracking of wires that could lead to engine misfire and/or damage. Easily installs on wires by removing the distributor boot and connector. Made from high temperature resistant fiberglass composite material, Protect- A-Wires are available in four vivid colors. 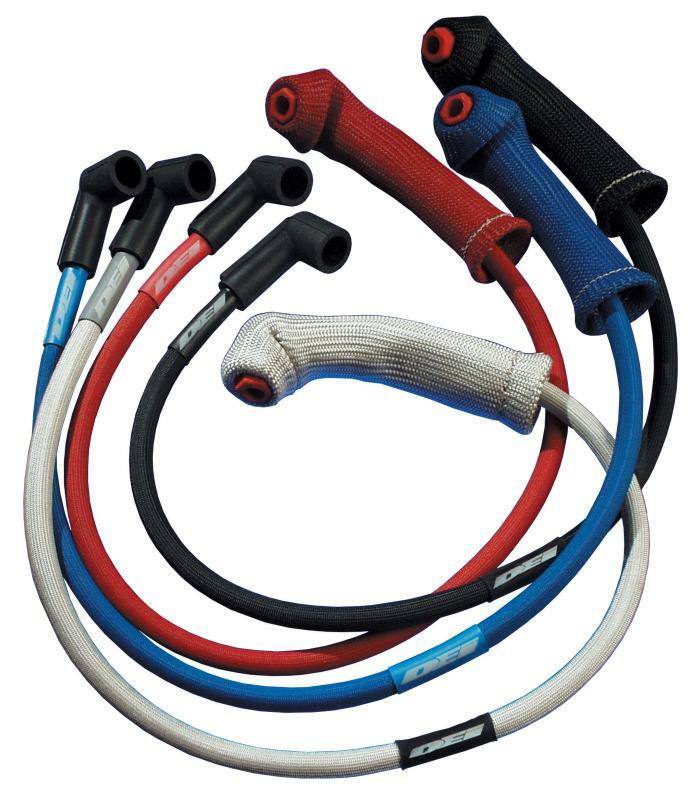 Besides use on spark plug wires, Protect-A-Wire can also be used to protect electrical wiring, hoses and fuel lines for a professional detailed look. 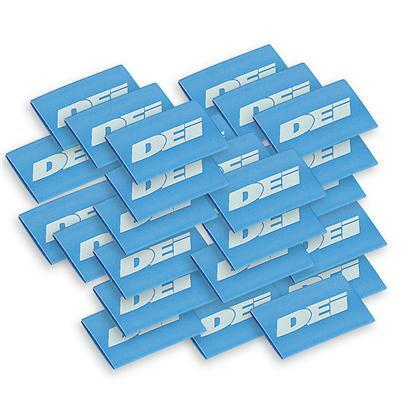 Each kit comes complete with DEI Hi-Temp Shrink Tubes for that final finishing touch. Protect-A-Boots™ provide the ultimate protection to spark plug boots and wires from extreme temperatures generated by vehicle exhaust headers and manifolds. Made from a high temperature resistant fiberglass composite material and double wall construction, Protect-A-Boots prevent burning, hardening and cracking that could lead to engine misfire and damage. If ignition wires are touching or close to exhaust headers we recommend the added protection of wrapping the headers with DEI exhaust wrap in the problem area(s) in addition to installing Protect-A-Boots. 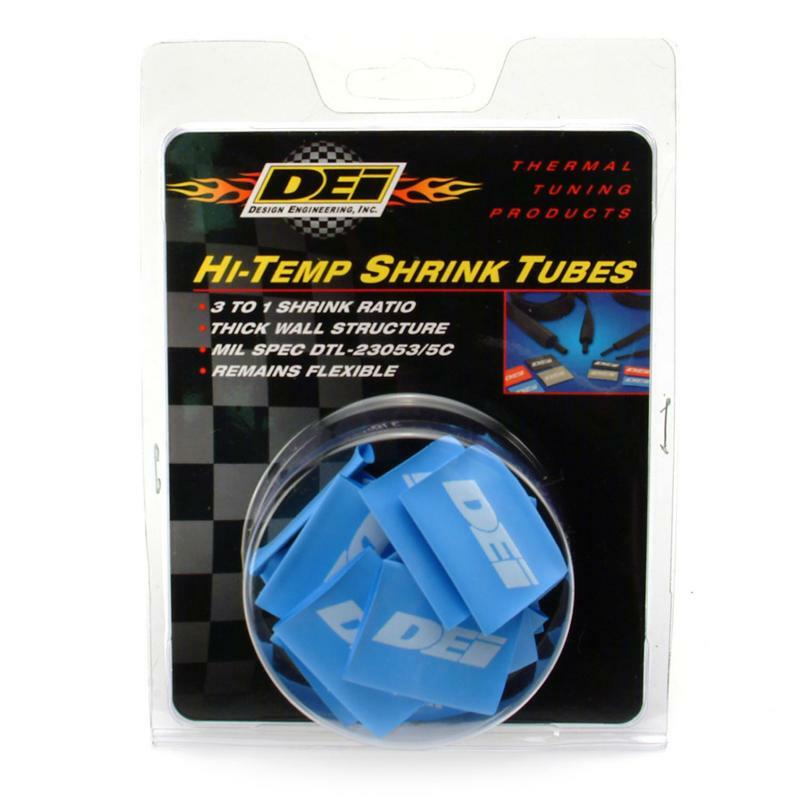 Hi-Temp Shrink Tubes are available in four colors, two sizes and have a shrink ratio of 3 to 1. Shrink Tubes are easy to install with an ordinary heat gun. 18mm size shrinks to 6mm and 12mm size shrinks to 4mm.